When life gives you layer cakes, make lemonade! That IS the saying, right? 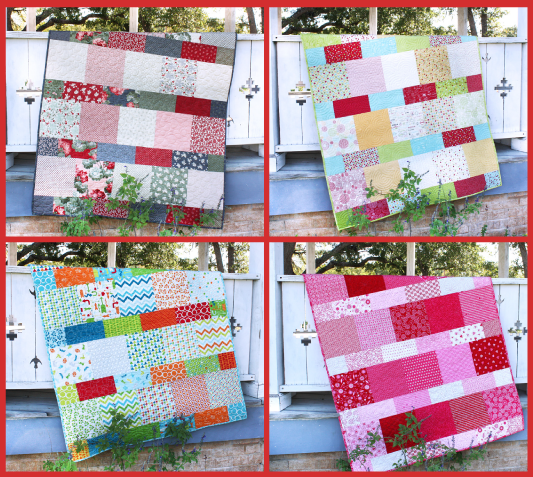 Today we are happy to introduce our new FREE Shortcut Quilts pattern, the Layer Cake Lemonade! Now, it is easier than ever to make lemonade with your layer cakes. This easy free quilt pattern is a perfect way to use up your layer cakes. Are you ready to see more? 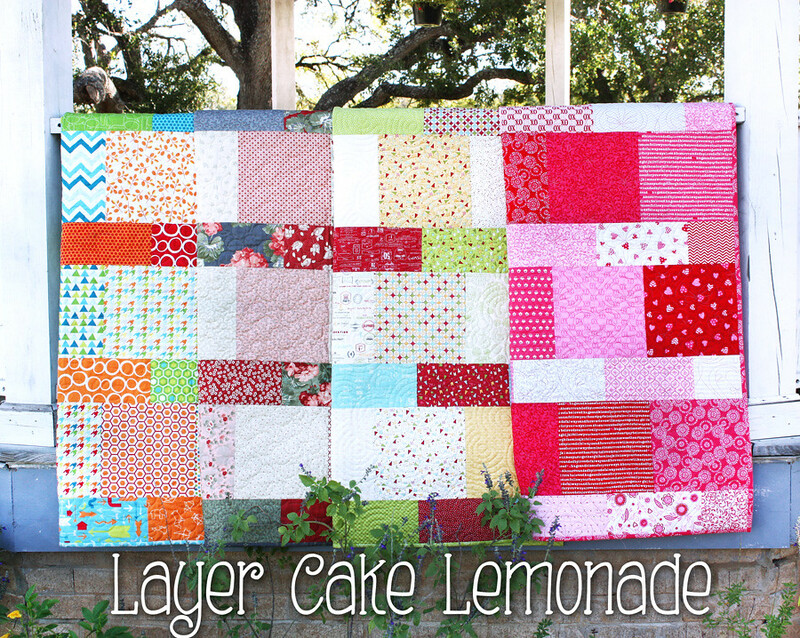 The Layer Cake Lemonade is a 48" x 61" quilt that uses just ONE layer cake. We wanted to make the quilt as easy as possible, so we recorded a video tutorial that is packed full of tips and tricks for piecing this quilt top. Just watch and see how easy this quilt really is! Are you ready to get started? First, you need to download the FREE Layer Cake Lemonade Quilt Pattern, pick up a layer cake, watch the video tutorial for reference, and get stitching! That is really all there is to it. If you don't know what collection to pick, browse our selection of layer cakes and choose your favorite. 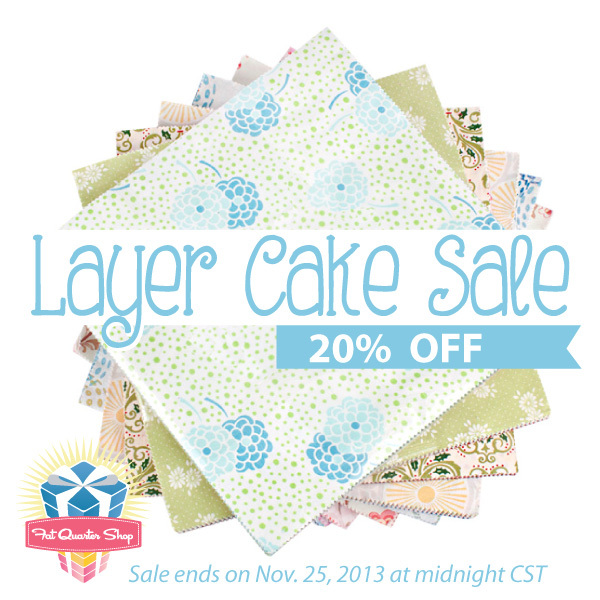 All layer cakes are 20% off until November 25th to celebrate, so start shopping! 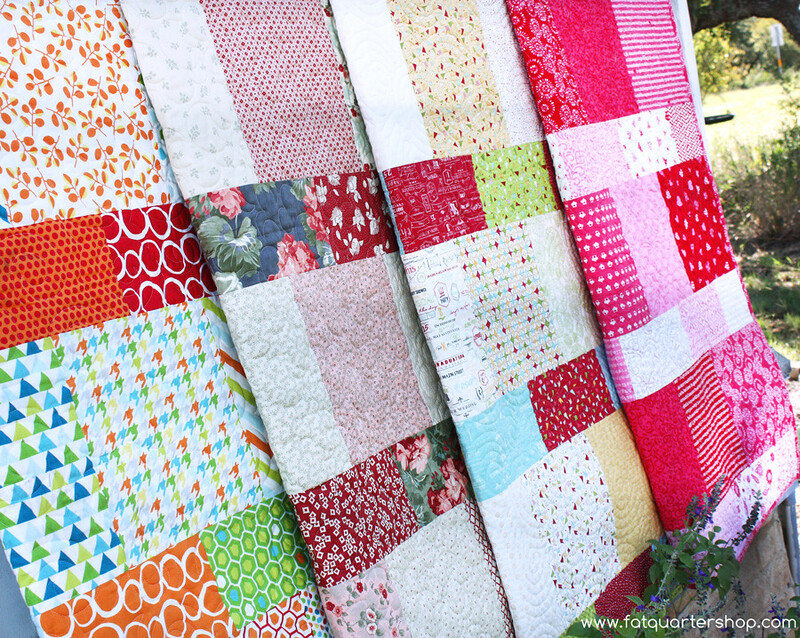 We teamed up with a bunch of your favorite designers who are showing off their versions of the Layer Cake Lemonade Quilt on their blogs! Hop over and show them some Lemonade love! What are you waiting for? Pick out a layer cake and get started on the Layer Cake Lemonade! What fabric collection will you choose? So let us know, what do you think of the video? When you make your Layer Cake Lemonade quilt, be sure to add photos to our Shortcut Quilts Flickr Group, or post them on our Facebook Timeline! We just love what you are doing with the Jelly Roll Jam so far! Adding borders, applique, and other unique elements really adds some personality! 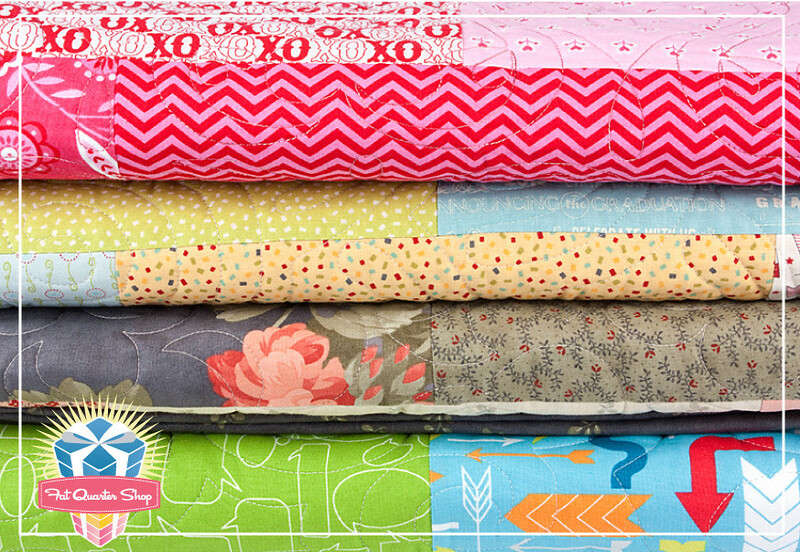 And let us know in the comments below, which pre-cut would you like the next Shortcut Quilts pattern to feature.